Hey Girls UK is a social enterprise that tackles ‘period poverty’ by donating a pack of sanitary pads to girls in need – for every pack it sells. 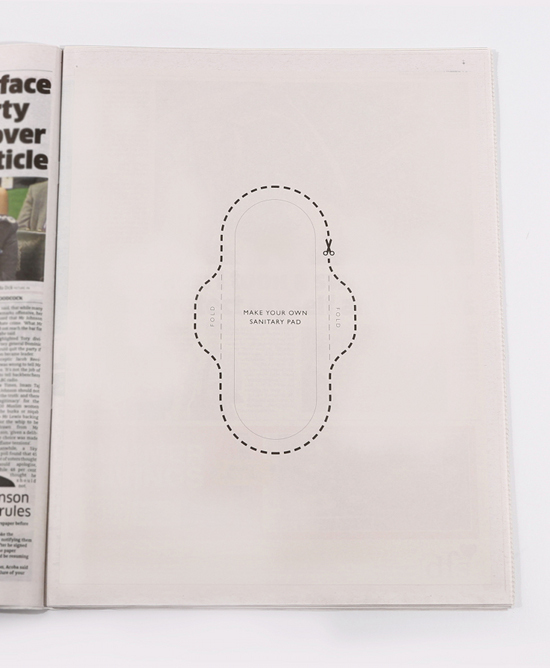 Today the brand placed an ad in Metro designed to stop readers in their tracks by inviting them to cut out and ‘make their own’ sanitary pad. 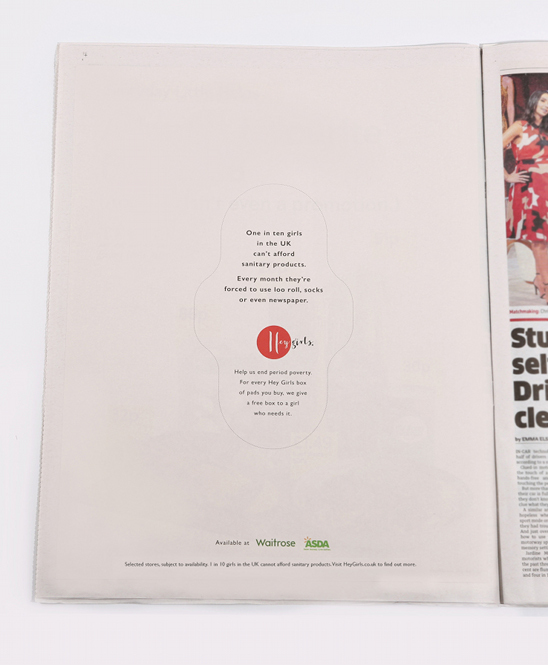 The second page goes on to reveal the shocking reality that 1 in girls 10 in the UK cannot afford sanitary products, so every month have to resort to using loo roll, socks, or even a newspaper such as the one in the press ad. 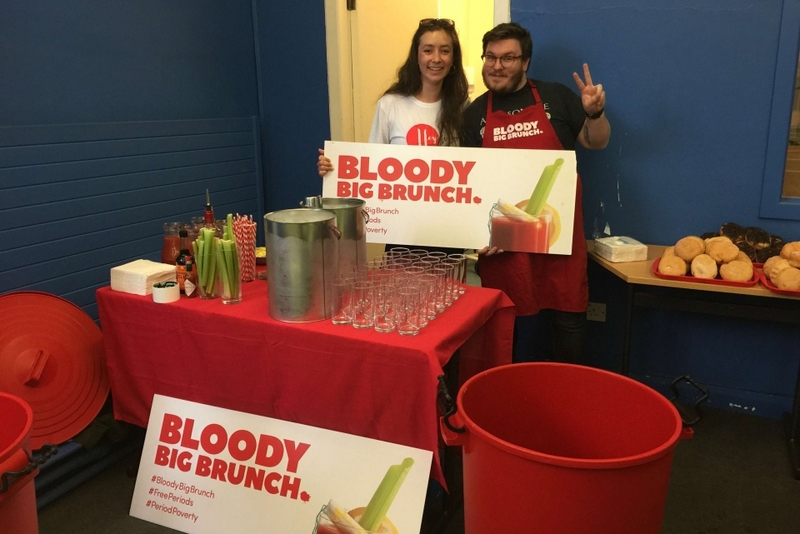 According to Elle – an afternoon at the Bloody Big Brunch consists of cocktails (Bloody Mary’s, of course )– drag acts and DJs, all yours in exchange for sanitary products, so you’re essentially ‘paying with pads’. related: Channel 4 promote The Handmaid’s Tale with provocative Metro cover-wrap.